Buckingham Plaza is a newly renovated center located on the NW corner of Schoolcraft Road and Inkster Road. 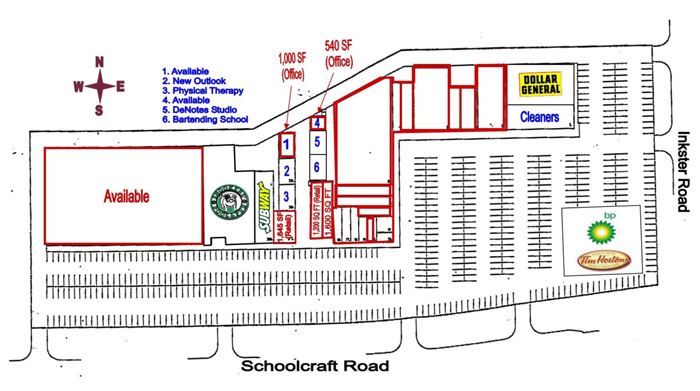 This center has great visibility, parking, and easy access to I-96 Freeway. Join Dollar General, Tim Horton' s/ BP, Subway, Snooker s Pool & Pub, and more.